Every business needs customers. But to get new customers you need to promote your business and that takes money which many startups just don’t have. So what is an an entrepreneur to do? Get creative and use these low cost, and even free, but high impact marketing ideas to build your business affordably. 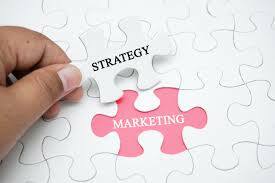 Yes it truly is possible to market your small business on a tiny budget the key is to be strategic about your spending. Try these methods that many small companies have used to become big firms. Buddy up with other local companies. Together you can promote each other’s products and services. Perhaps you can offer your clients coupons to other related businesses. Alternatively you could recommend other companies in your email newsletter and they can do the same for you. The key to this strategy being effective is to look for complementary, not competitive companies. Related products work best such as restaurants and nearby entertainment such as theaters and music clubs. Most businesses require lots of driving around; to meet with customers, buy supplies and deliver goods. Use this drive time to your advantage by branding your vehicle with your company logo and contact information. These days vinyl wraps for complete vans or just side panels are easy to get designed, look terrific and cost surprisingly little. Social media is full of your prospective customers so you need to get involved in getting in front of their eyeballs. While advertising can be purchased on social media it is usually outside of most startups lean budget. Instead do some free social media marketing by posting helpful information on all of your profiles. Also ask existing customers to post reviews online, which will be found by those for your type of services. Social media posts can include photos of your new products, special discount coupons and even contests. Remember to avoid overly salesy items, instead focus on offering value to your readers with recipes, tips and expert advice. Recent studies report that over 97% of new customers find products by searching online first. Thus you want your company to be at the top of the search results on Google. The first step is to build an attractive and fast loading website to impress your buyers. Include your contact information on all pages, including your street location address, store hours and customer testimonials. Setting up a blog and posting regularly can be an excellent way to improve your search engine marketing results while giving more value to your customers. Posts can include ways to use your products, items of interest, tips and local photos. Don’t be confused by this new term. This is simply sharing information across the internet. It includes publishing regular blog posts on your website and posting on your social media profiles. It can also include creating helpful videos, designing interesting infographics and publishing ebooks to help your buyers. When you donate to a charity you get many benefits the first being the good feeling knowing that you’ve helped another. Plus you often receive a tax write off and a listing on the charity website as a sponsor. This will positively increase your company’s brand awareness and also help your website SEO with incoming links. Sometimes the simplest promotions are the best such as sidewalk signs. Make your sign attractive and easy to read as pedestrians pass. You can announce a sale or a new product. Often their interest is aroused and they come in to learn more. Many small businesses are not aware that local newspapers and websites will write articles about them that will cost you nothing. To get this kind of media coverage you will need to write press releases and network with reporters and journalists. They will not be interested in highly promotional information such as sales but they will be interested in unique news such as your charity drives, awards won and changing locations. Often small business owners overly focus on new customers but neglect current customers. Your existing customers are twice as likely to buy from you again, plus getting those orders will cost less than finding new customers. Market directly to your customers by sending them special coupons, inventory updates, product news via regular emails and direct mail. Another low-cost but highly effective working technique is to set up a customer referral program. These incentives offer customers free products or services when they recommend new clients to your firm. Small business tips published regularly.